Ms. Schoonover brings to DGS more than 30 years of experience in professional development, recruitment, and human resources. 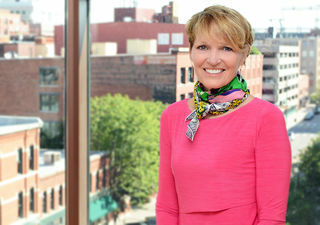 As the firm's executive director, her responsibilities involve overseeing human resources, IT, finance, professional development, and business development functions. In her previous role as the Director of Leadership Cleveland, Ms. Schoonover set the strategic direction of the program and designed and implemented its curriculum. Ms. Schoonover has served in various directorships at other law firms, where her focus encompassed professional development, recruitment, human resources, marketing, and alumni/community relations. Her experience has included employee coaching, integration, and evaluation programs. Ms. Schoonover has led various civic, charitable, and diversity initiatives. Ms. Schoonover is a graduate of Brigham Young University (B.A., J.D. ).